Ich is a common disease in freshwater aquariums. Because it is a disease in your tank, simply isolating and treating a symptomatic fish will not eradicate the disease. Once you spot symptoms of ich, treatments such as raising the temperature and salinity of the tank, as well as adding special medications, can be effective, and fish generally recover quickly. However, if fish are left untreated or are not treated properly, they can succumb to this disease. Ich, or ick, is a condition that most anyone who tends an aquarium will encounter at some point. It is caused by a protozoan organism called Ichthyophthirius multifiliis. Ich is so common that many fish experts believe it is present in most aquariums, but the fish have built up immunity to it. The opportunistic organism then takes advantage when stress or changes in tank conditions lower the immune system. Ich is also called “white spot disease” because of the characteristic white spots it causes on the gills, fins and tail of affected fish. These spots are itchy and irritating, and as the disease progresses, fish may rub their gills and bodies against the sides of the aquarium to relieve the itch. You may notice agitation in the form of darting around the tank, breathing distress and lack of appetite. Commercial fish breeders may use microscopic analysis of a skin scraping to diagnose the disease. The best way to treat ich in your aquarium is to move the fish to a spare tank with a temperature between 78 and 80 degrees. Because the lifecycle of the ich protozoa is temperature-dependent, and the organism cannot live without fish, if you raise the water temperature of the original tank to 78 to 80 degrees, the ich should die within two to four days. After four days, you can return the fish to their home. If no spare tank is available, you can gradually raise the temperature of the tank to 80 degrees over 48 hours so as not to stress the fish. Then slowly increase the salinity. Mix up a saltwater solution by adding 2 teaspoons of aquarium salt per gallon of your tank to a container of warm water. Gradually add the solution to your tank over a period of about six hours. After about a week, the ich should be gone and you gradually can decrease the salinity by replacing about a third of the tank water every day for three or four days. 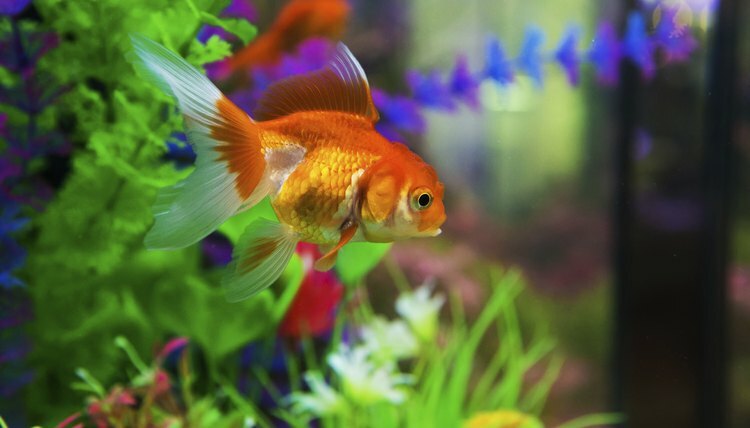 Most commercial ich medications are safe to use in aquariums containing the standard community tank fish, but may be toxic to invertebrates such as snails and shrimp. Common medications include Medicated Wonder Shell and Quick Cure, or any commercial ich product containing malachite green, copper or methylene blue. Read the instructions to make sure the product is appropriate for your tank inhabitants, and make sure to remove any activated carbon filters as they will inactivate the medication.